We have a small palo verde tree in our back yard that volunteered. Last week we discovered it was growing caterpillars as well as leaves. Can you spot the caterpillar? 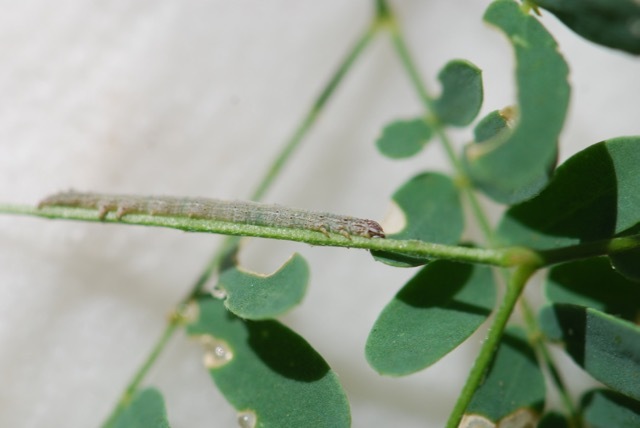 During the day the caterpillars either clutch twigs or hide under things like loose bark. They feed at night. 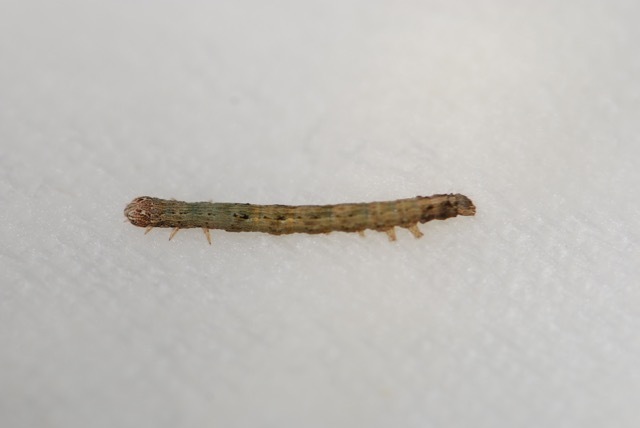 The prolegs (fleshy legs on the abdomen) are reduced in number, giving them an "inchworm" gait. 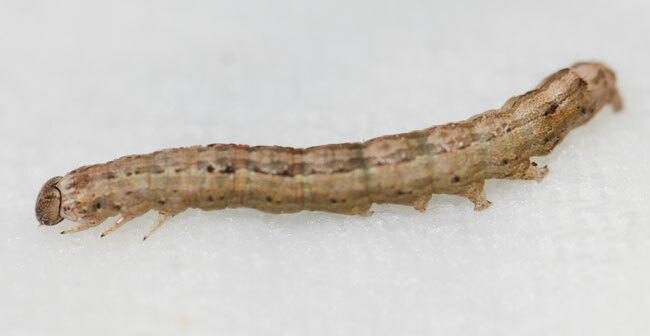 See how pointy the three true legs are in comparison to the prolegs (left side of photograph). I haven't identified the species yet, but they might become owlet moths in the subfamily Erebinae.